Proof-Reading.com provides professional document editing and proofreading services. We offer editing exclusively for businesses and professionals. Document security is very important to Proof-Reading.com. Documents and credit card information are encrypted upon transmission with the latest technology. Proof-Reading.com uses a Verisign 256-bit SSL certificate during document submission. Documents are destroyed after 30 days to protect your intellectual property. Proof-Reading.com is committed to providing excellent customer service. Our mission is to provide you with the highest quality editing services available. 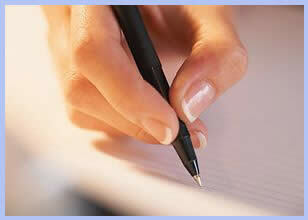 Grammar editing includes the correction of punctuation, verb tense, spelling, and sentence structure. Your document is carefully proofread, ensuring effective communication to your target audience. Editors offer suggestions in terms of style and flow, ensuring a well-written document. We stand behind our editing services; if you are not satisfied with our work, we will refund your money. We have established this guarantee to ensure high quality editing services.